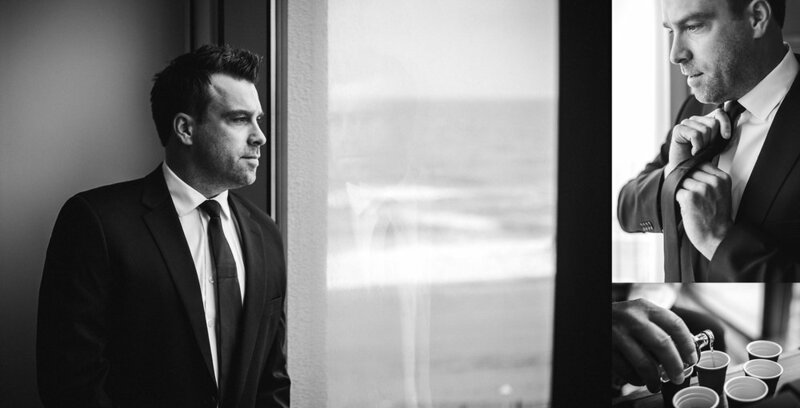 Today I'm sharing some sneak peeks from Morgan & Liam's beach wedding! Morgan is a recent graduate from Old Dominion University and Liam is a service member in the Navy. 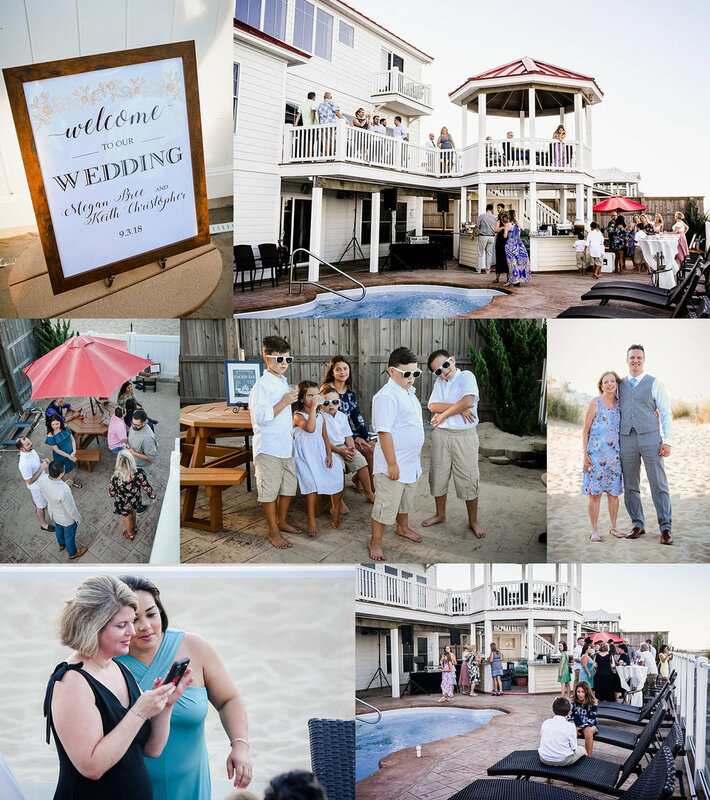 They were married at a small beach ceremony at the Shifting Sands Beach Club, on Dam Neck Naval Base in Virginia Beach. Unfortunately, it turned out to be a very windy, rainy day. 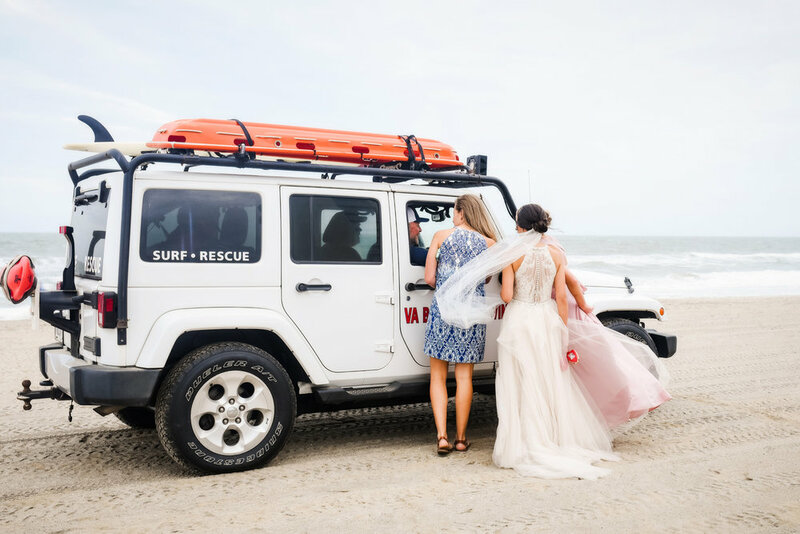 These two braved the elements and were married on the beach despite the less than ideal conditions. They were surrounded by their closest family and friends. The wedding ceremony was short and sweet, but SO full of love and joy. 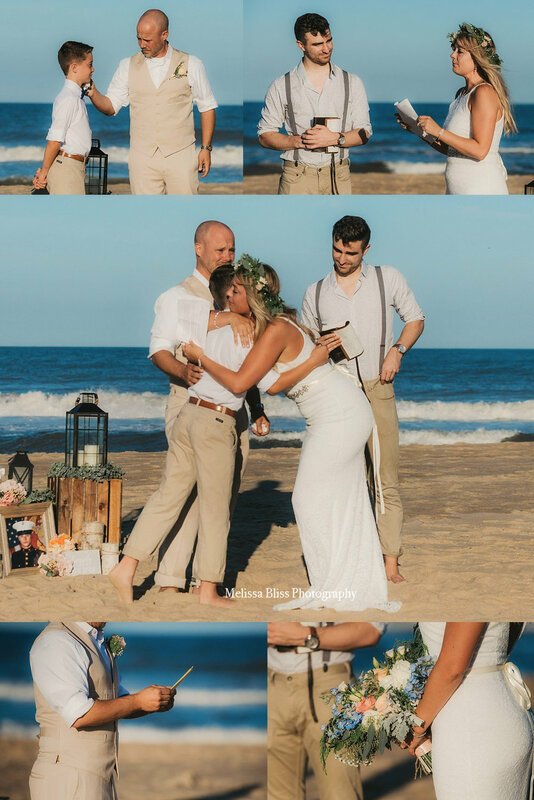 After their "I do's" were final, we took a couple quick shots on the beach before heading for cover. 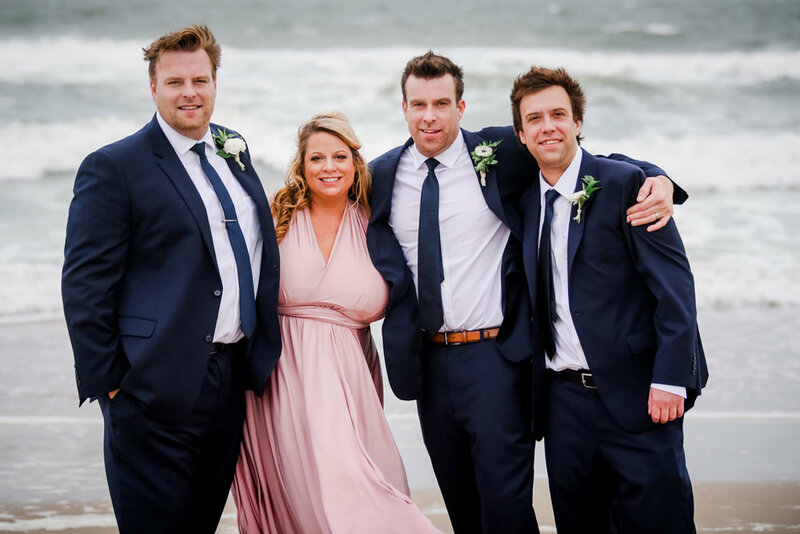 Their wedding reception was held at The Founder's Inn in Virginia Beach, which made a lovely location for some indoor portraits of the bride and groom and family. We were thankful for indoor haven from the wet weather, and the atrium made a beautiful backdrop for a few quick shots. Congratulations Morgan & Liam! May your days be filled with warmth and love, even if the sun doesn't always shine. 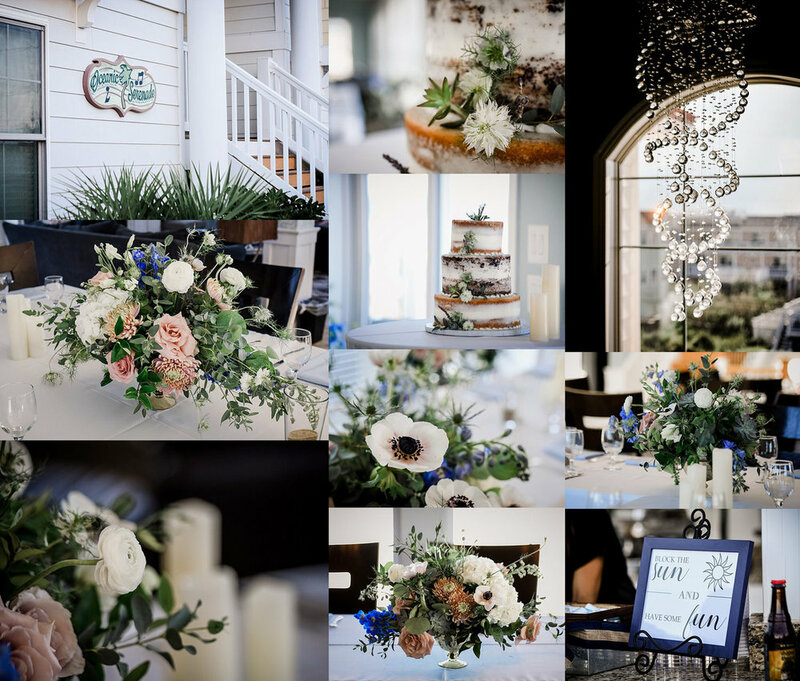 I can't get over how amazing this wedding was! When I met Shean and Marlaina last year I knew I was going to LOVE working with them. They are two down-to-earth, warm-hearted, friendly, open and absolutely in love individuals. We hit it off right away at our initial meeting. As we planned out their engagement session and talked wedding details, I got more and more excited to shoot for them. 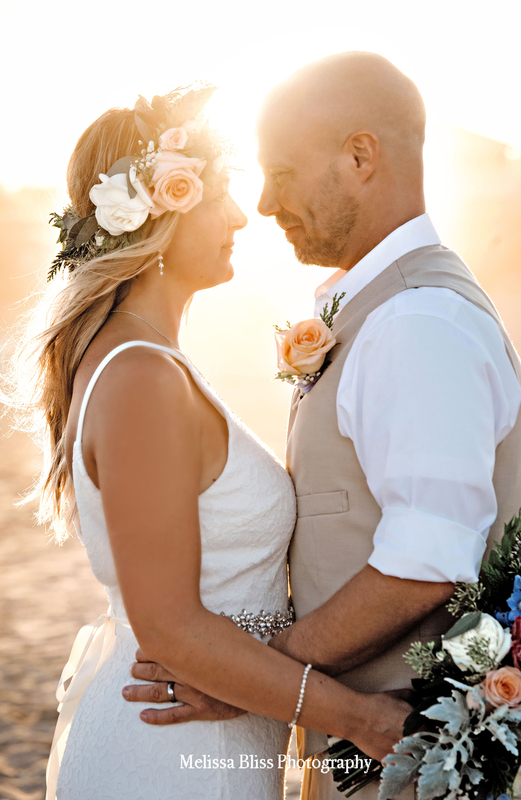 So it was no surprise when their wedding turned out totally gorgeous and full of heart-warming moments. But holy cow! 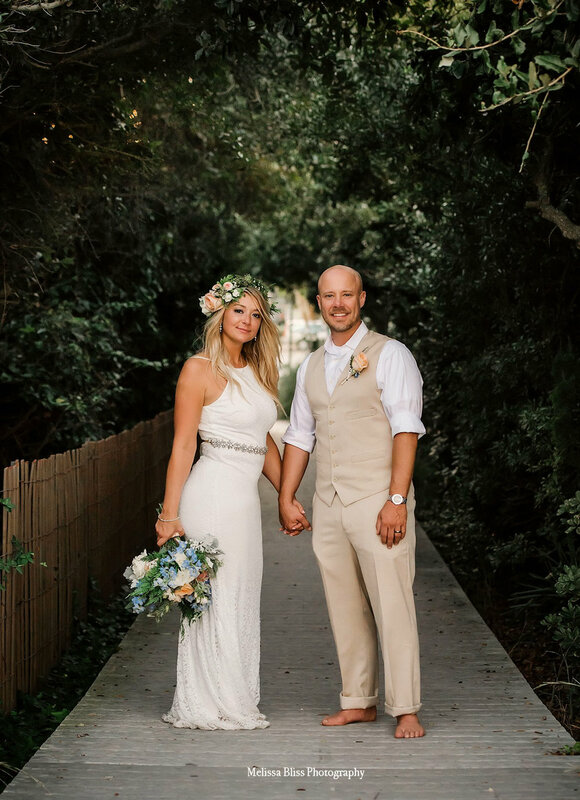 I was seriously blown away by how perfectly it all came together and by how amazingly honest and loving their relationship and their families are. 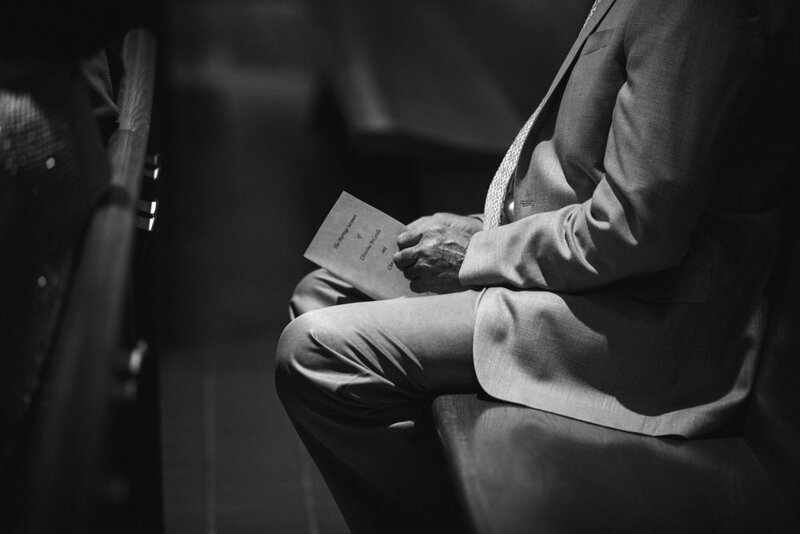 There were SO many jaw-dropping, teary-eyed moments at this wedding. I think my heart melted 1000 times. I know I can't even begin to put into words how truly special it was. 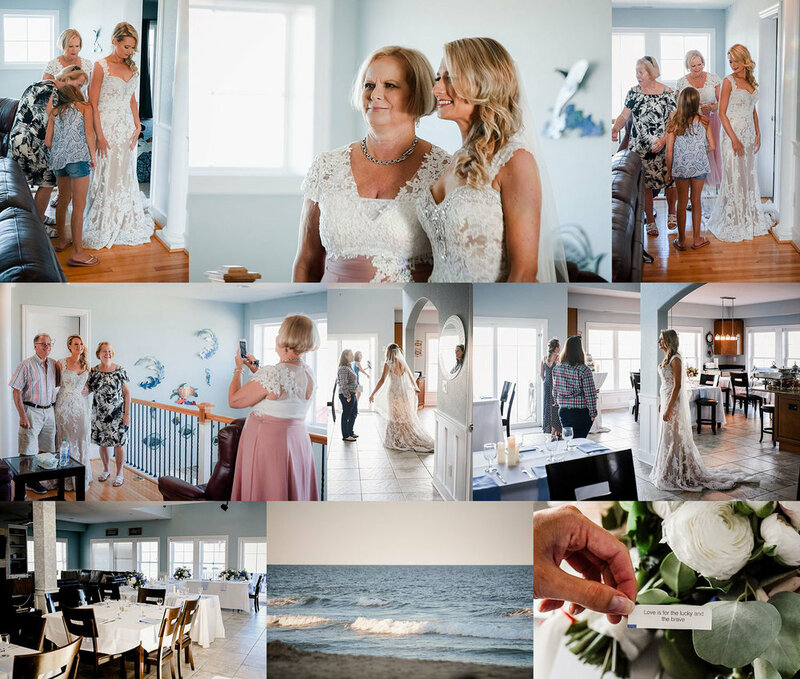 I hope these images show you a glimpse of the love they share, and the incredible bond that now unites these two families. This is just a small glimpse into this amazing event. 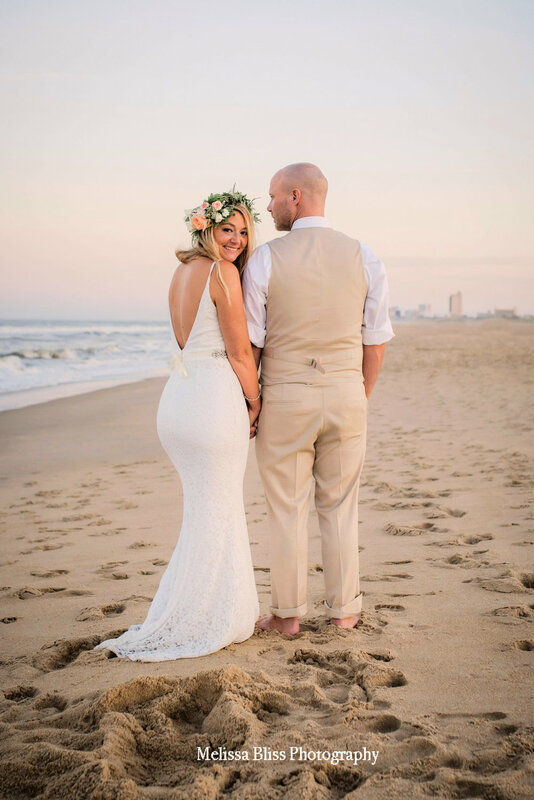 Stay tuned for more photos of this gorgeous Virginia Beach wedding! 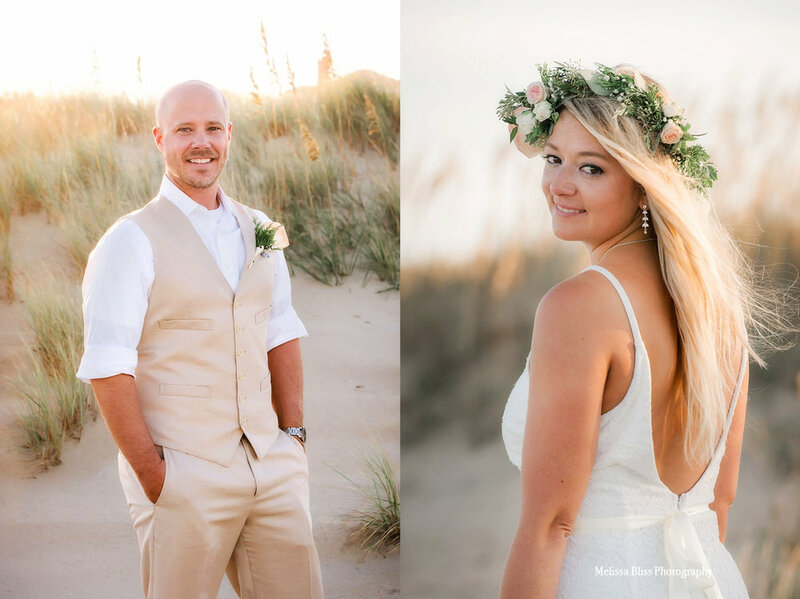 Elizabeth and Chris were married in a private ceremony on the beach at sunrise. I'll admit that I'm not a morning person. But every time I get up for an early session I am in love with the result. The light is amazing! It may only last a short while, but oh my it's stunning! This day was no exception. Watching these two promise themselves to each other was nothing short of magical. Congratulations Mr. & Mrs. Skaggs! Thank you for inviting me to document these moments for you. Best wishes for many happy years filled with love and joy! If you enjoyed this post please share it. We greatly appreciate your support of this small business!